NOTE: Recent changes in the Florida Rules of Judicial Administration REQUIRE all judicial branch electronic records to be accessible to person's with disabilities effective January 1, 2012. Portal filings are accepted and dated for that submission date until 11:59:59 p.m.
Any required paper filings, including those of pro se litigants (representing yourself), must be delivered during normal working hours which are 8:00 a.m. - 5:00 p.m., Monday through Friday, Eastern Time. Filings delivered to the Court after 5:00 p.m. will not be accepted. If a filing cannot be delivered prior to 5:00 p.m. a motion for extension of time should be filed prior to 5:00 p.m. that day. Briefs that do not conform to the type size as set forth in the Florida Rule of Appellate Procedure 9.210 will not be accepted. 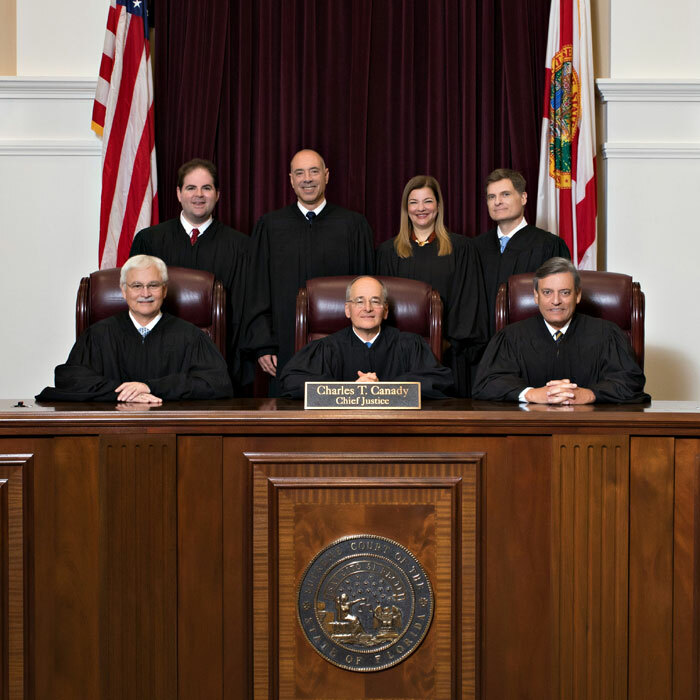 Florida Rules of Procedure are available on The Florida Bar website. Questions? Inquiries about the status of cases can be directed to the Clerk of the Court at (850) 488-0125. Review our List of Contacts.